Mayo Clinic spinout and Rochester-based COVR Medical aims to protect patient privacy and dignity during surgical procedures. Driven by a passion to fulfill an unmet medical need, COVR was founded by husband and wife team Dr. Bruce Levy, MD, a Mayo Clinic orthopedic surgeon, and Heather Levy in 2014. With three medical garments currently on the market, COVR is facilitating patient dignity one surgery at a time. Dr. Levy’s “passion for improving the patient experience” ultimately moved him to become an entrepreneur. During one particular surgical case, he requested a blue towel be used to cover a patient to avoid patient exposure to the entire operating room staff during the procedure. However, the towel kept dropping to the operating room floor during the surgery as the patient was moved, leaving the patient naked and exposed for the majority of the operation. Distressed by the situation, Dr. Levy searched the market for possible solutions to remedy this problem. Finding none, he decided to create his own solution, a medical garment that could cover and protect patient dignity during surgeries in the groin area while allowing adequate access for medical staff. In 2014, Dr. Levy utilized Mayo Clinic’s Employee Entrepreneurship Program (EEP) to license the intellectual property for the garment line from Mayo to launch his startup, COVR Medical. Two years later, Dr. Levy presented his idea at the Walleye Tank business pitch competition hosted by the Office of Entrepreneurship at Mayo Clinic in Rochester, Minnesota. COVR Medical won first place. Since that time, COVR has grown to a five-person team including Dr. Bruce Levy, Cofounder and CEO; Heather Levy, Cofounder and President; Romeo Catracchia, Chief Commercial Officer; Thomas Pavilon, US National Sales Manager, and Donald Cilley, Manufacturing Manager. COVR, Dr. Levy explains, is a pioneer. The company is not bringing a better product to the market but is instead creating a whole new class of products, which can come with unique challenges. However, he says COVR continues to gain momentum with leading US medical institutions, demonstrating the value of their products. As a Mayo Clinic surgeon, it felt natural for Dr. Levy and wife Heather to grow their company in this city. 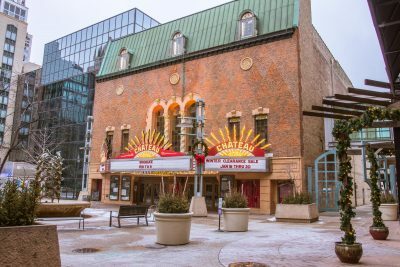 “Understanding and overcoming the challenges of starting a business is no easy task and we are extremely grateful to find a thriving, helpful, and welcoming entrepreneurial climate in Rochester, Minnesota,” Dr. Levy explained. Through the EEP program, COVR connected with several local consultants and organizations that assist Rochester startups including the Mayo Clinic Business Accelerator, Medical Alley Association, and the Minnesota Department of Employment and Economic Development. 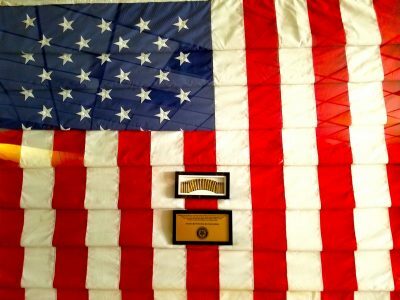 “I remained amazed at how many people unselfishly dedicated their time and expertise in guiding us towards making the right decisions for our company,” he said. Dr. Levy thinks that “success breeds success” in the Destination Medical Center (DMC) entrepreneurial climate, where thriving startups will allow more startups to launch and grow. He sees the DMC vision to make Rochester a premier medical community of extreme value, especially for healthcare focused startups. 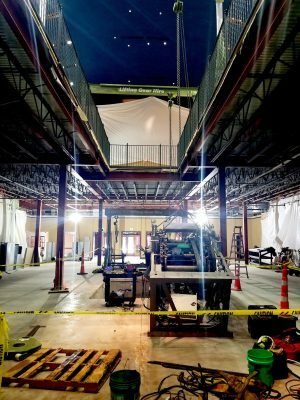 When is a parking ramp more than just a functional structure for stacking up cars? 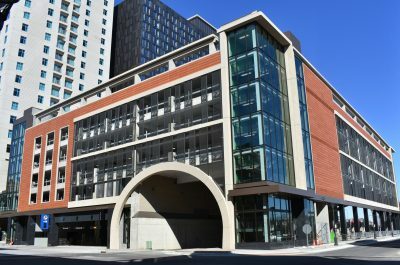 That question has found an answer with the city of Rochester’s new “Parking Ramp #6,” which opened March 26. 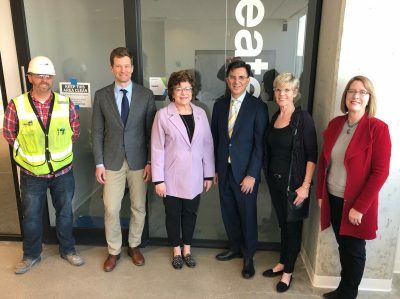 This $31.4 million, 630-stall municipal project has indeed been designed as much more than just a parking ramp — although in that simple role alone it is a much-needed improvement as Destination Medical Center (DMC) creates more growth, energy and vibrancy downtown. And to be sure, merely as parking ramps go, it’s something special. Ramp #6 has several cutting-edge design features such as a space guidance system to help parkers more quickly find available stalls, license plate recognition to speed entry and exits, and a mobile app to help locate parked vehicles. In addition, a landscaped plaza to the east along First Ave. NE will provide bicycle storage options and feature backlit art walls to create a welcoming public space. But as one of the earliest infrastructure projects to receive financial support from the DMC, the city has always had bigger goals in mind for Ramp #6 than simply providing additional downtown parking. One aspect of that vision is its strategic location which leverages other DMC-backed efforts. 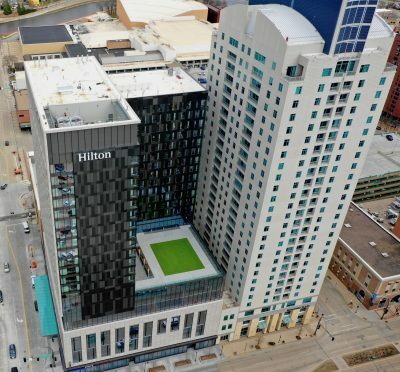 Situated on 1st Avenue SE and between Center Street and 1st Street SE, it’s on the same block as two important lodging amenities: Titan Development and Investments’ Hilton Hotel, which is preparing for an April 16 opening, and the Broadway Plaza. The ramp will provide them with new skyway access points, thus greatly enhancing pedestrian connections. The parking ramp has also been designed to accommodate up to 10 stories of residential development atop its easternmost section. The City and DMC are actively seeking proposals to construct mixed income or affordable housing units on the site. A grand opening for the new ramp is being planned for summer. Every day, The Rochester YMCA works side-by-side with its neighbors to make sure that everyone, regardless of age, income or background, has the opportunity to learn, grow and thrive. As Executive Director of the Rochester YMCA, Virginia Kaczmarek knows that lasting personal and social changes comes about when we all work together. DMC recently chatted with Kaczmarek, a 20-year employee with the YMCA and 5 months in her role as Executive Director of the Rochester YMCA, about some of her priorities and what path brought her to Rochester. DMC: What path brought you to your current position with the Rochester YMCA? Kaczmarek: As a young single mother, the YMCA played an important support role in my life and since those days, I have always wanted to give to others the support I received when I most needed it. 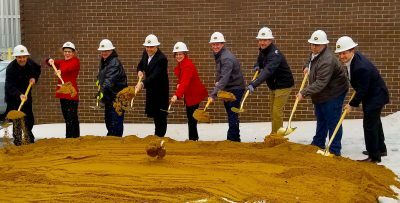 My fiancé grew up in Rochester and after spending the last 11 years in Northfield, MN (where we raised the needed funds to open a brand new Y in 2014) it was time for me to move on to a new adventure and challenge. Kaczmarek: Partnerships, Partnerships, Partnerships. In today’s world, community impact is most powerful when people, groups, organizations and businesses come together to meet the needs of our community. Kaczmarek: It is an amazing ”big/small town” with so many amazing people working together to make a positive impact on those around us. There isn’t much complacency here and I love that. Kaczmarek: The DMC initiative provides amazing opportunities for growth and the YMCA is very proud to work together to make good things happen in our community. Kaczmarek: Reach out and ask questions. Connect with your neighbors. There is an abundance of important opportunities to connect and share in the movement towards ensuring we all have a healthy opportunity to grow and thrive. 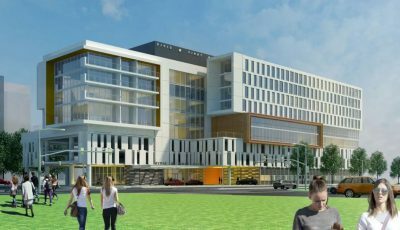 Heart of the City is part of the Destination Medical Center initiative to revitalize downtown Rochester to reflect the city’s diversity and vibrancy and solidify it as a global destination for health and wellness. As part of the Heart of the City public space design process, First Avenue in downtown Rochester is being designed as a curbless, pedestrian-friendly street. Recently, the future of First Avenue was prototyped, which showed the new design of the street, curb, and sidewalk. Members of the Heart of the City design team were present to answer questions and collect feedback from business owners and the public. One of the goals of Heart of the City is creating opportunities for year-round use of public spaces. At the wildly successful SocialICE event in February, produced by the Rochester Downtown Alliance, DMC tested heated benches, which were very popular. Other ideas included adding winter-friending programming, wind buffers and using heated benches or site features to create additional ways to keep people warm outdoors. “Heart of the City is an important community gathering place. The feedback we receive from our public engagement is valuable as we continue to create experiences in Heart of the City for everyone to enjoy,” noted Patrick Seeb, director of economic development and placemaking for Destination Medical Center Economic Development Agency. 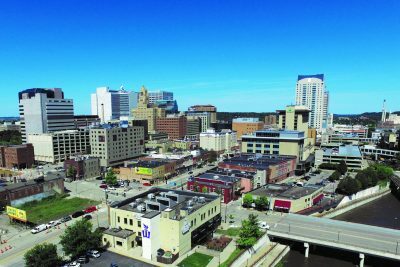 Rochester, Minnesota continues its high ranking in Livability’s 2019 Top 100 Best Places to Live, placing 5th and a jump up four spaces from 2018. Livability also acknowledges the community for being incredibly civic-minded. Rochester is in good company. WalletHub says Minnesota ranks first when it comes to the best place for women to live in the United States. Macular degeneration affects more than 3 million Americans and is the leading cause of vision loss for people over 50. There is no cure or treatment in the early stages. Patients with end-stage macular degeneration may be suitable for monthly eye injections, but that is expensive and inconvenient. The disease process usually progresses despite the injections. That’s where Dr. Olsen’s business comes in. His team is advancing research on a surgically implantable device, using a technology that was first conceived at the University of Minnesota and patented through Emory University. That device acts as a window or picture frame holding regenerative tissue in place to support the macula at the back of the eye, potentially reversing vision loss and preserving the function of the macula. The National Institutes of Health/National Eye Institute awarded a Small Business Technology Transfer grant for a one year, phase one feasibility study. 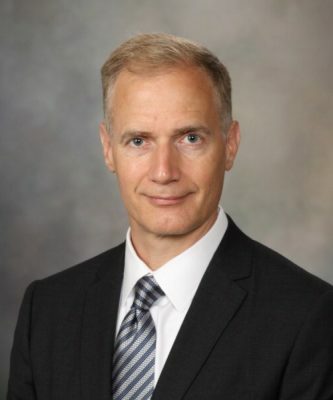 The grant goes directly to Dr. Olsen’s company, located in the Mayo Clinic Business Accelerator, with sub grant funding for pre-clinical research at Mayo.